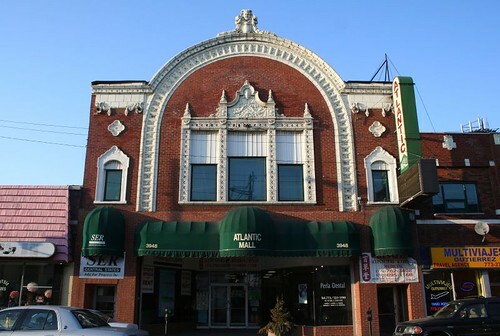 This gem of a building is located in the center of the 26th Street commercial district, in the core of the Little Village neighborhood. 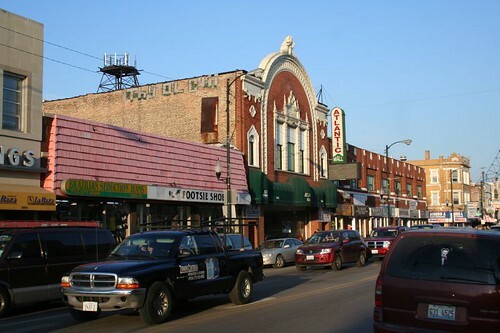 The area is a lot like Pilsen, but without all that pesky gentrification. 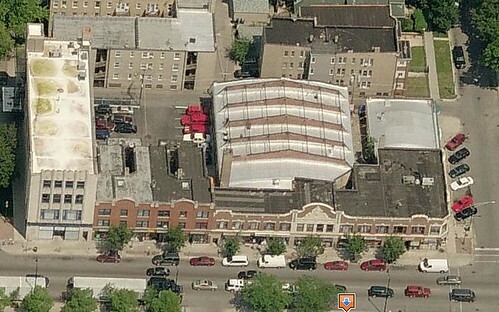 There are no condos or hip coffee shops here, but you can find a wrought iron company and a place selling live poultry. And bridal shops. Lots of bridal shops. 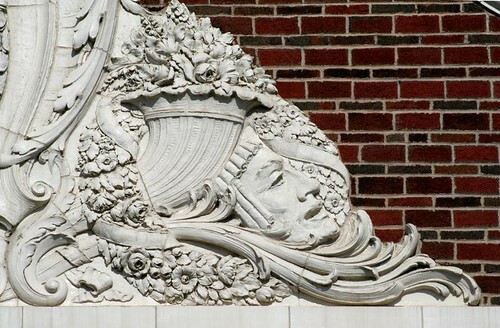 The building today is called the Atlantic Mall, but from its commandingly lush terra cotta ornament, it fairly obviously used to be a theater — the Atlantic Theater, unsurprisingly, built in 1917. It was gutted for a “mall” in the mid-1990s, sadly. The inside today doesn’t look like much. 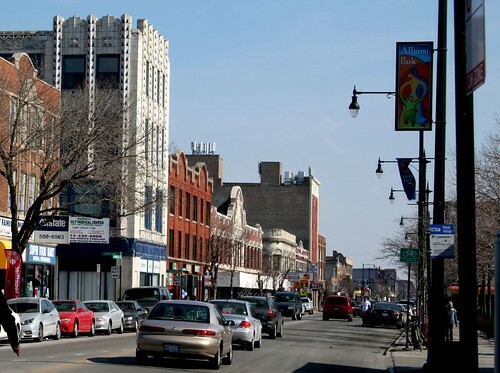 But the facade remains a centerpiece for the busy 26th Street corridor. Which of the following is most likely to keep a building from being demolished? Picked your answer? Good. If you answered “G), none of the above”, congratulations! You truly know how Chicago works! 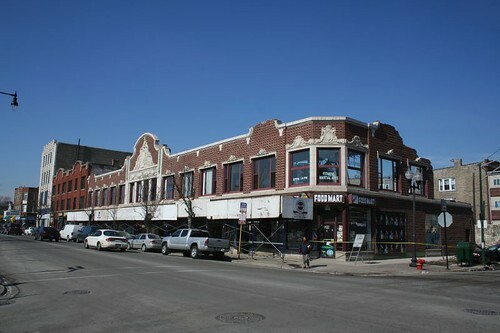 Built in 1925 as the Terminal Theatre, it’s integral to the wonderful commercial row facing the Brown Line terminus station across Lawrence…. though it won’t be for much longer. The theater closed long ago, its lobby converted to retail space. 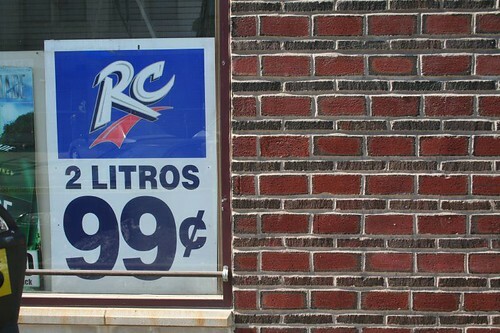 Those businesses seem to have been doing quite well, judging from the remnants they left behind. Every storefront was occupied — the upstairs too. In 2006, the auditorium suffered a collapse and was demolished. The commercial portion of the building, which wrapped around it, appears to have soldiered on regardless. 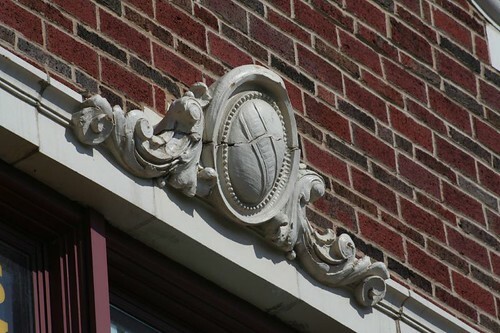 Nevertheless, the siren call of money-grabbing condos was apparently too much, and the beautiful building is being destroyed, slicing a gash into the previously unbroken string of ornate early 20th Century buildings on these blocks. The tenant spaces appear to have been evacuated in a big hurry. Displays, ad posters, neon signs, and even some merchandise remain behind. This is a beautiful and richly ornamented building. It features a two-tone brick pattern alternating thin and thick bricks in running bond. 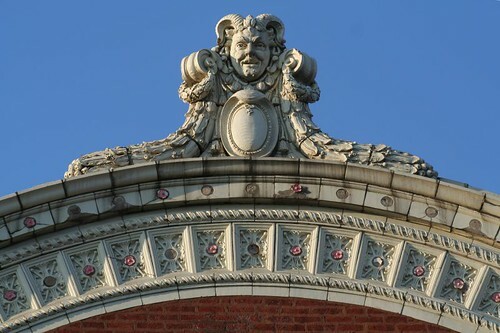 It is lavishly endowed with cream-colored glazed terra cotta ornament, none of which has been salvaged from the remaining portion of the building. 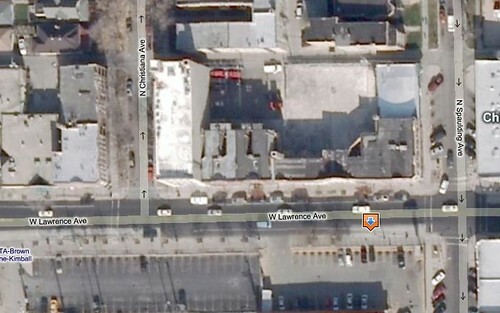 The demolition is a diminution of the public realm, and a real loss for Lawrence Avenue and Chicago at large. What a shame, what a shame.